Remorseful Cleric ($0.12) Price History from major stores - Core Set 2019 - MTGPrice.com Values for Ebay, Amazon and hobby stores! 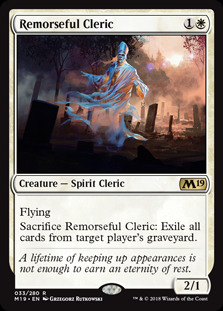 Card Text: Flying Sacrifice Remorseful Cleric: Exile all cards from target player's graveyard. 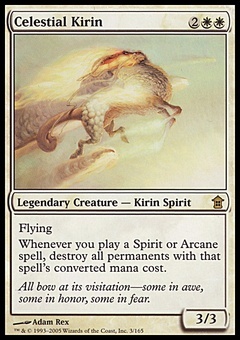 Flavor Text: A lifetime of keeping up appearances is not enough to earn an eternity of rest.